Attention pop music devotees: Over the weekend, a new Sia song called "My Arena" hit the 'net, and it's absolutely fantastic. The tune — a rousing, feel-good breakup anthem — is further proof that the Australian musician is one of the most talented songwriters in the business today (as if we needed further proof!). Now, it's possible Sia wrote "My Arena" for herself, but because she often writes for other artists — and because her upcoming new album, This Is Acting , is solely comprised of material she wrote for other artists — I'm inclined to believe she penned the track with somebody else in mind. But whom? Shortly after the premiere of This Is Acting 's lead single, "Alive" — which was intended for Adele — Sia told Ryan Seacrest that the LP would feature songs that were rejected by big acts like Rihanna, Beyoncé, Katy Perry, Demi Lovato, and Shakira. Wow. If "My Arena" were offered to any of those five women, I think they made a huge mistake by not recording it! The song has a ton of mainstream radio appeal (breakup tracks are always relevant), and its lyrics are both clever and memorable. On the "My Arena" chorus, Sia proudly sings: "You broke my heart and now this is my arena and I'm sold out / You tried to keep me down, but you're hearing this now and your heart is beating / See, I'm doing fine, better than fine / And now I see, your true melody was lost on me." I think "My Arena" would've worked well for Rihanna. In a way, it sounds like a sequel to "Take a Bow." But, I could imagine Perry or Lovato doing a nice job with it, too. I'd love to know the story behind the tune! Will "My Arena" appear on This Is Acting? At this point, we don't know. 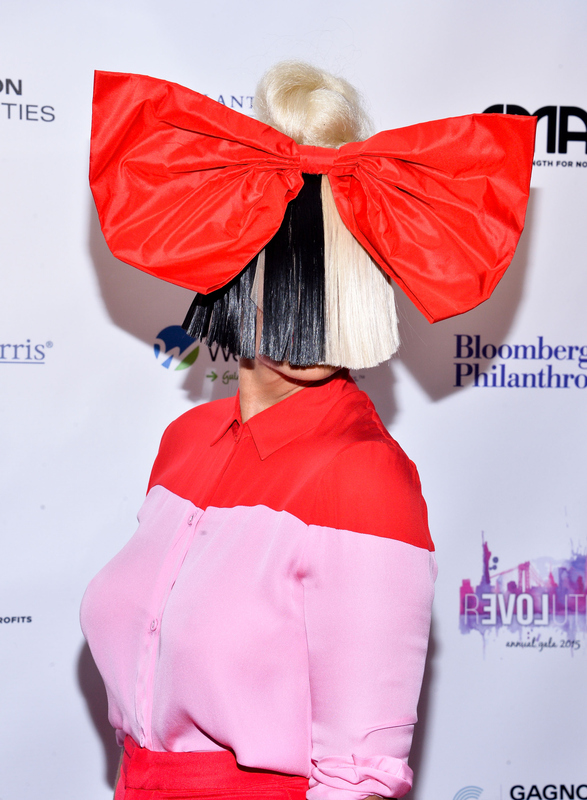 The project doesn't have an official release date yet, but Sia has said that it will "probably" arrive in early 2016. I can't wait. "Alive" is available on iTunes and Spotify now.